Series of handheld and handsfree barcode scanners with 1D, 2D and QR code technology, featuring a high performance scan engine that makes reading any barcodes extremely fast, reliable, and more affordable than ever. 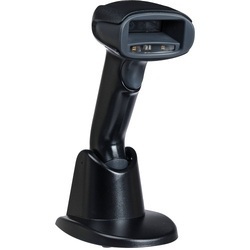 Our barcode scanners are cost effective, easy to use, long range scanner designed for retail, point of sale, or any repetitive application where time and accuracy are important and are available with different segments of General Duty level, Mid-level and Industrial-level operations. 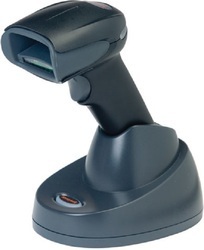 The Orbit 7190g scanner is designed for highly efficient retail checkouts, with a unique dual-modes design that enables seamless scanning of both merchandise barcodes and digital barcodes off customer smartphones. Backed by a team of skilled and experienced professionals, we are engaged in manufacturing and supplying a superior range of Omnidirectional Laser Scanner MK7120. 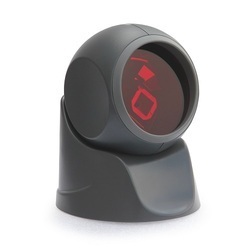 These scanners have omnidirectional pattern scan line that gives aggressive presentation scanning. 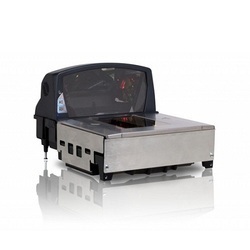 The offered scanners can be customized as per desires of the customers. 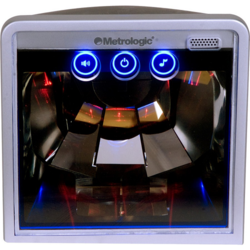 Our offered scanners are thoroughly monitored at the time of manufacturing in order to ensure their quality. We are offering Honeywell Genesis Scanners to our clients. We provide high-quality products to our clients. Honeywell''s Genesis 7580, the world’s first presentation area-imaging scanner engineered to decode all standard 1D, PDF, and 2D codes, provides enhanced productivity and revolutionary imaging technology in an elegant, yet durable design. Breakthrough performance and a versatile form factor make this presentation scanner suitable for environments ranging from manufacturing to healthcare to retail POS. 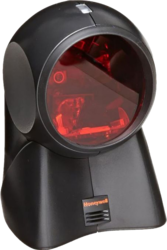 Honeywell Orbit Scanner 7120 omnidirectional scanner the all-time, best-selling hands-free omnidirectional laser scanner—is an innovative, elegant and affordable solution for convenience retail applications where counter space is at a premium. Recipient of multiple design honors, the Orbit omnidirectional scanner has an award-winning shape that enables hand-held scanning of large, bulky items. This laser scanner offers an omnidirectional pattern scan line which provides aggressive presentation scanning. The scanner also has an adjustable head to target scanning for larger products. to our clients. We provide high-quality products to our clients. 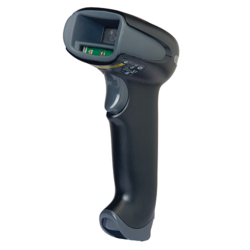 We are offering Honeywell Metrologic Solaris 7820 Barcode Scanner MK7820-00C38 to our clients. We provide high-quality products to our clients. We are offering Honeywell Stratos 2422 Scanner to our clients. We provide high-quality products to our clients. 353mm scanner (MS2422-105S), diamonex platter (46-00296), 4.0m straight USB Type A cable (57-57201-N-3), EU power supply (46-00981) and documentation. Decode Capabilities Imager: Reads standard 1D and 2D symbologies. Our organization is engaged in this domain, we are offering an excellent quality Honeywell Dolphin 6110 Mobile Computer. These products are equipped with multi-functional data collection. The offered products can be customized as per desires of the customers. Our offered products are thoroughly monitored at the time of manufacturing in order to ensure their quality. 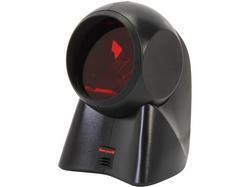 We are offering 2D Honeywell Barcode Scanner to our clients. We provide high-quality products to our clients. We are offering Barcode Reader 1450g to our clients. We provide high-quality products to our clients. 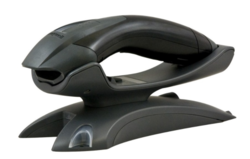 We are offering Barcode Scanners 1300g to our clients. We provide high-quality products to our clients. 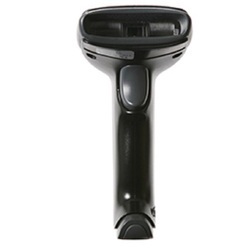 We are offering Honeywell Barcode Reader 1900gHD-2USB to our clients. We provide high-quality products to our clients. 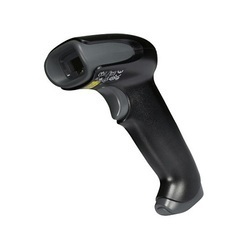 We are offering Honeywell 1902GSR-2USB-5 Barcode Scanner to our clients. We provide high-quality products to our clients. 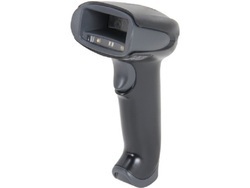 Honeywell’s Voyager 1250g single-line laser scanner provides a superior out-of-box experience and aggressive reading of linear bar codes, including larger bar codes up to 23 inches away. CodeGate® Technology: Enables users to ensure that the desired bar code is scanned before transmitting data, making the scanner ideal for use in menu scanning applications. Remote MasterMind™ Ready: Reduces total cost of ownership by providing a turnkey remote device management solution that easily manages and tracks usage of installed devices. 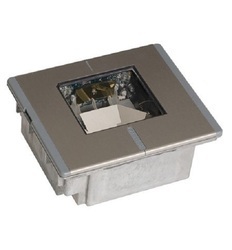 Honeywell’s Eclipse 5145 is a low cost laser-based alternative to CCD scanners. Its compact form factor and high end feature set simplify its use in a variety of applications at the press of a button. Eclipse is a single-line, hand-held laser scanner. Equipped with Honeywell’s patented CodeGate® technology, Eclipse can be used in a wide variety of applications. CodeGate® technology allows the user to easily target the desired bar code and complete data transmission with the press of a single button. This makes Eclipse a perfect selection for menu scanning, point-of-sale, document processing and inventory control.The width of the scan line grows as the scanner moves further away from bar codes. 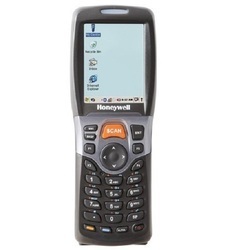 We are offering 1D Honeywell Barcode Scanner 1250g to our clients. We provide high-quality products to our clients. 1D, Black scanner, no presentation stand, Cable, and Documentation. We are offering Honeywell 1900 Area-Imaging Scanner to our clients. We provide high-quality products to our clients. 5300SR Imager / 28 key /64MB RAM x 128MB Flash /Windows® CE 5.0 Core / Std battery /Power Adaptor /Lanyard / Stylus 5100USB STD 5100 I/O interface cable, USB. 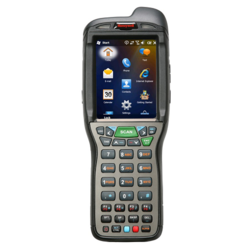 With our in-depth knowledge and experience, we are engaged in offering the finest quality Honeywell Dolphin LCD Mobile Computer. The offered product is designed using modern technology using quality material. This product is demanded in the market due to its optimum finish. Our offered product is checked before delivering to customers in order to assure its quality at customer’s end. We are offering Color Wireless Area Imaging Scanner to our clients. We provide high-quality products to our clients. Honeywell's Xenon™ 1902h Color healthcare scanner is redefining the capabilities of hand-held scanners, featuring a custom image sensor that is optimized for barcode scanning and ColorFusion™ Technology which enables color image capture. With industry-leading performance and reliability, the Xenon 1902h Color imager is well-suited for a wide variety of healthcare applications that would benefit from the ability to capture color images, plus the freedom of Bluetooth® wireless connectivity. The wireless feature allows the user to move up to several feet from the base and can also support up to seven images per base. 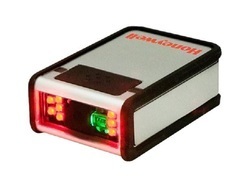 We are offering Honeywell Xenon Scanners to our clients. We provide high-quality products to our clients. Honeywell's Xenon 1900, the sixth-generation of area-imaging technology, has redefined the standard for hand-held scanners. Featuring a custom image sensor that is optimized for barcode scanning, the Xenon 1900 hand-held area image scanner offers industry-leading performance and reliability for a wide variety of applications that require the versatility of area-imaging technology. This area image has image processing software with advanced editing features as well as the ability to load and link multiple applications on the scanner. It is a durable hand-held scanner that can resist harsh environments and chemicals. 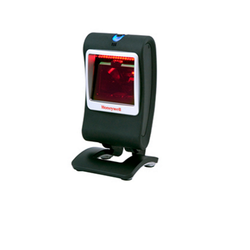 Increase productivity and efficiency with the Xenon 1900 area image scanner. 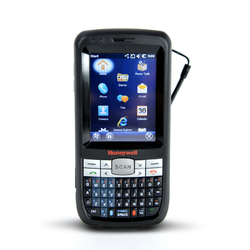 We are offering Honeywell 6110GPB1132E0H Restaurant Mobile Computer to our clients. We provide high-quality products to our clients. We are offering Honeywell Solaris Scanner to our clients. We provide high-quality products to our clients. 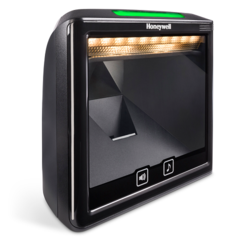 Honeywell's Solaris 7820 hands-free vertical mini-slot scanner increases productivity with an unmatched feature set that aggressively scans high-density codes and fits easily into any existing enclosure found in a small item, high-volume retail environments. Every scanner comes standard with an integrated RF EAS antenna, Checkpoint and Sensormatic interlock and the ability to be Flash upgraded. The 7820 Solaris laser presentation scanner comes with multiple interfaces to help protect infrastructure and ensure compatibility with most POS systems. Read barcodes as small as 5.0 mil in a compact, hands-free form factor. 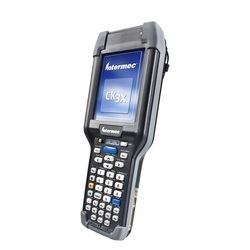 We are offering Honeywell Intermec CK3R - Alphanumeric 2D Imager to our clients. We provide high-quality products to our clients. 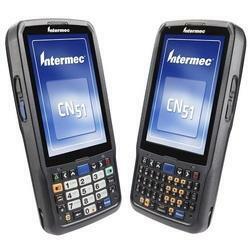 We are offering Intermec CN51 CN51AQ1KCU2A1000 Mobile Computer to our clients. We provide high-quality products to our clients. We are offering CK3X Mobile Computer to our clients. We provide high-quality products to our clients. Withstands multiple 1.5 pms (5ft) drops to concrete across all operating temperature ranges and an IP54 seal rating against and dust. Choice of integrated high motion tolerance 2D near/far area imager supports high performance, Omni-directional scanning supports industry standard 802.11a/b/g and Bluetooth radio for adaptable communications. Industry-leading battery performance will last a full shift and beyond. Operating System Microsoft Windows Embedded Handheld 6. We are offering CN 70/70E Mobile Computer to our clients. We provide high-quality products to our clients. 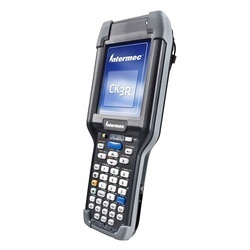 We are offering MK7625-71C07 Barcode Scanner to our clients. We provide high-quality products to our clients. Grey scanner, stainless top cover w/ standard glass (MS7625-37), 60cm (24´) EAS cable (52-52511), EU power supply (46-00526) and documentation. Voyager 1202g incorporates a Bluetooth® Class 2, v2.1 radio, enabling unrestricted movement up to 10 meters (33 feet) from the base. Honeywell has also demonstrated Bluetooth® Class 2 communication ranges of up to 30 meters (100 feet) with a clear line of sight from the base. The 1202g offers users added safety and a wider range of movement by eliminating tethered cables. For added convenience, the included paging system helps locate misplaced scanners with visual and auditory signals.